Lex started his career in the card rooms of the Netherlands and he was eager to get out to Las Vegas as soon as possible. Lex Veldhuis was born in Vlissingen, a small harbour town on the southern coast of Netherlands. As a child Lex loved playing sports and computer games which enhanced his competitive side. With a love for playing computer games, Lex dedicated most of his time playing Nintendo games but quickly needed a new challenge of complex strategy games like StarCraft. It was through StarCraft that Lex met Frenchman and fellow PokerStars Pro Bertrand ‘ElkY’ Grospellier who urged him to try online poker. ElkY deposited Lex’s first $10 in his online PokerStars account in 2005. Lex attempted studying for a degree in Criminology at the Erasmus University in Rotterdam, but as his poker career took off, he decided to put his degree on hold. A University degree is something the Dutch pro might return to, but for now his determination to succeed is focused around winning the biggest poker games live and online. Dividing his time between Las Vegas, Toronto and his hometown Vlissingen and Lex Veldhuis enjoys the life of a jet-setting poker pro. He multi-tables the highest limits online with numerous big tournament results now under his belt, topping the Tournament Leader Board twice. As well as playing online Lex has played on the live tournament circuit for a number of years and has found success in Europe as well as the US. He started his career in the card rooms of the Netherlands and he was eager to get out to Las Vegas as soon as possible. Once in Vegas, Lex made cashes in the big tournaments at the Bellagio, Mirage and Mandalay Bay. The World Series of Poker has also seen Lex making a few cashes, the highlight of which was a deep finish at the 40th anniversary tournament in 2009. The tournament had a $40,000 buy-in and attracted the world’s best players. Lex Veldhuis made it to the final table, finishing in seventh place for the biggest cash of his career and $277,939 in prize money. You will regularly find Lex at the top tournaments in Vegas and also at the European Poker Tours. Join the biggest stars in the world as they sit in the PokerStars Big cash game. Lex Veldhuis - Super Fast Super Sonic! Lex Veldhuis - Don't Try This at Home! Lex Veldhuis - Tournament Review with BenCB! Lex Veldhuis - Sunday Million Deep Run! Lex Veldhuis - Another Deep Run and BIG Score?? Lex Veldhuis - Amazing DEEP Run! 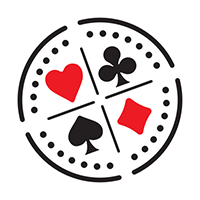 ​All-in is the most powerful play in poker player's arsenal. The fact that no-limit hold'em offers us the chance to - at any point in the game - play for the entirety of our stack makes it the Cadillac of poker. The pros do it better, so let’s look at three well-executed bluffs featured in this very interesting 52 minute video. PokerStars launched their next ‘new big thing’ to the poker world – a Spin & Go version of the popular Omaha variant hitting the site just in time for the SCOOP festival. Here are some of the reasons why we absolutely love Lex's Twitch stream, and why you might want to consider tuning into his broadcasts if you're not a regular viewer already. The 2017 SCOOP is already underway and PokerStars is once again allowing players to have a say regarding what game type should be offered in an upcoming event. The story of Andrey "Reynad" Yanuk might serve as a sign of the emerging paradigm shift. In the last few years, esports managed to pass poker by. There are plenty of broadcasts you can tune into, but some of them are clearly ahead of the curve. PokerStars Online Team Pro Lex Veldhuis broke some personal records when 15,000 pairs of eyeballs tuned into his Twitch.tv channel.